A Charming 55 and Better Community! 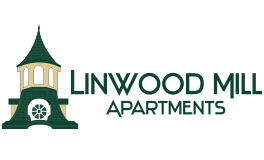 With a nod to its rich history and an eye toward the future, Linwood Mill is an enticing blend of classic brick and modern, contemporary architecture. These seventy-five studio, one and two bedroom apartment homes offer open-flexible living spaces that anticipate your every need. Whether entertaining guests or relaxing at home, you'll find this timeless treasure has been revitalized but has also held onto its many historic details - oversized windows, exposed beams and columns. Let the great outdoors be your backdrop in this picturesque, river-side setting. You'll find you are close to restaurants, banking and shopping destinations. The Shoppes at Blackstone Valley are less than 15 minutes away and you are close by the major highway routes of 90, 146, 395 & 495.